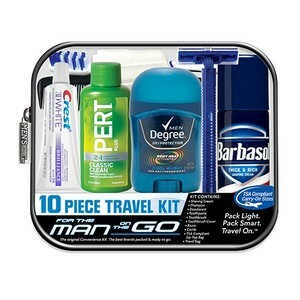 Our travel kits are packed with six to twelve top-selling national brand personal items, so you don’t have to worry about basic necessities while on the road. Delivered in a convenient and durable travel bag, what you need is at hand in TSA Compliant trial sizes to meet your travel agenda(s). 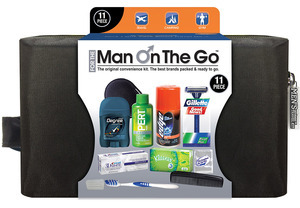 Buy a convenient pack of six kits and keep these travel basics (designed for the needs of men, women, and children) on hand and easy to grab. Add your business’ logo or brand to create a lasting impression. Getting away for vacation trips with the family is always hectic, especially when it comes to packing for my children. Any ideas for how I can make it easier? When packing bags for a family vacation, it’s all too easy to forget personal care necessities and items for the children. Make family travel simpler and avoid hassles at the security lines with TSA-compliant kits for kids and babies. Kits include a Johnson & Johnson version for baby with shampoo, powder, lotion, wipes, brush and comb set, and even a rubber ducky and circle key ring rattle, all packed in a darling duck-print zippered vinyl bag. It’s perfect to take along for getaways and on the plane. 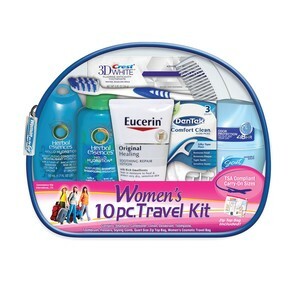 The children’s travel kits come in a boys and girls version, with games, stickers, and personal care items. 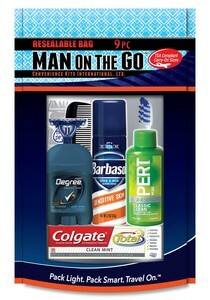 Your kids will love packing their bags and take these kits along to keep them occupied and clean on the journey. When it comes to business trips, I feel like I am always throwing items into the suitcase at the last minute. 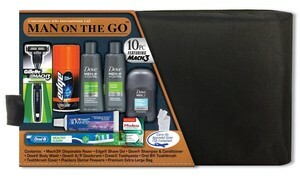 Travels kits is a good way to make business packing organized. 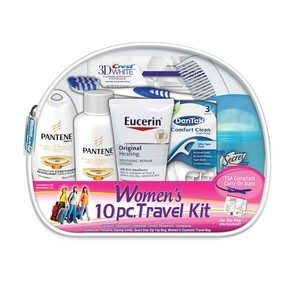 Convenience Kits travel kits come pre-packaged in durable travel bags with 6 to 12 name brand personal care items, such as shampoo, toothpaste, and shaving creams. 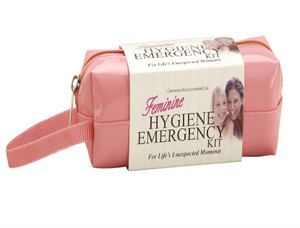 We have kits created for both men and women, and all are completely TSA-compliant so that you can pack your kit in a carry-on bag to save time and avoid delays at security screening and baggage claims. 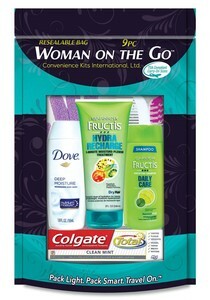 Keep a convenient pack of six kits on hand and have your travel basics ready to grab and go.